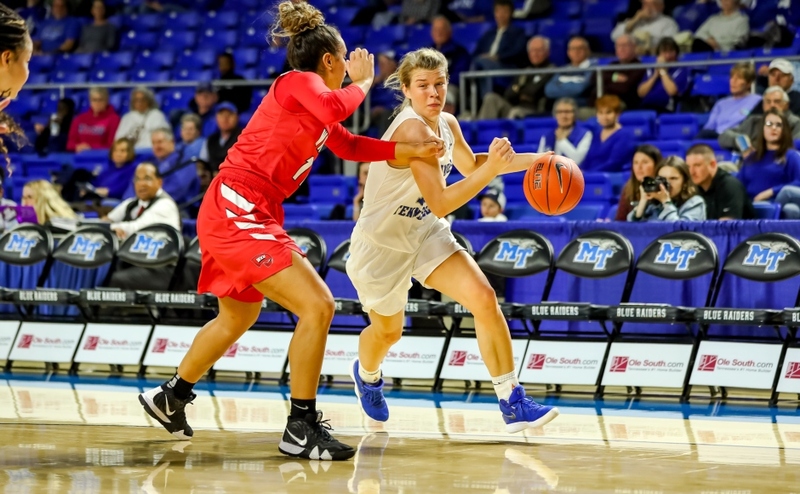 When the Middle Tennessee Lady Raiders (3-0) defeated the Vanderbilt Lady Commodores in their season opener, it was not an average and ordinary win for Middle Tennessee. It was the 300th career win for Hall-of-Fame head coach Rick Insell. The 1977 MTSU graduate has racked up the most wins (301) and owns the highest win percentage (.756) in the program’s history. 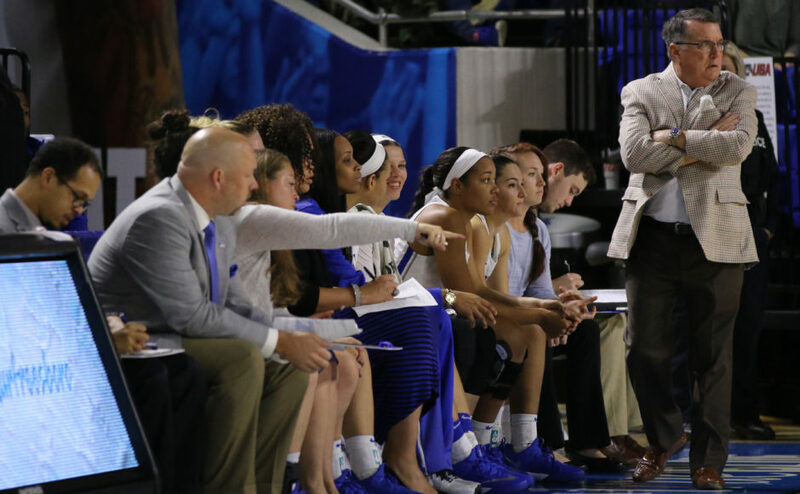 After winning 14 championships in 12 seasons and making numerous appearances to the NCAA Tournament and WNIT, Insell’s team has gained a loyal fan base. 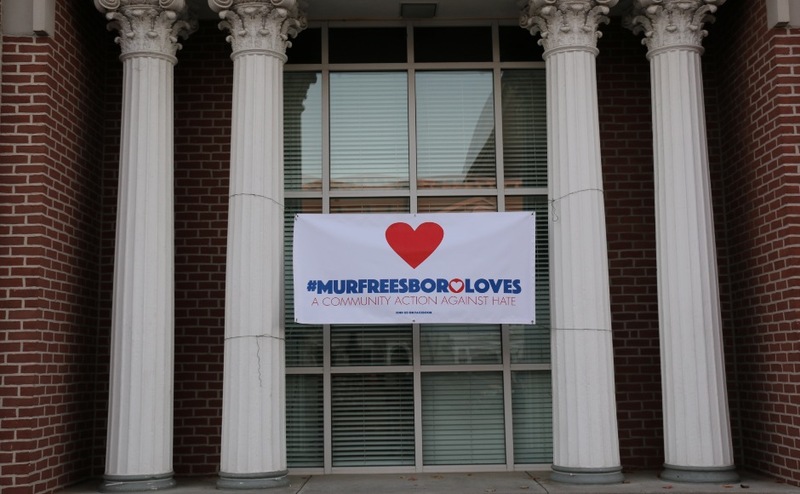 The Lady Raiders are one of MTSU’s main attractions, with attendance up 800 percent since Insell’s hiring. There have been many great games throughout his tenure, but these five are some that meant a little more to Blue Raider nation. In a game where the Lady Raiders were down 18-4 early, MTSU fought back to even the game by halftime at 39. 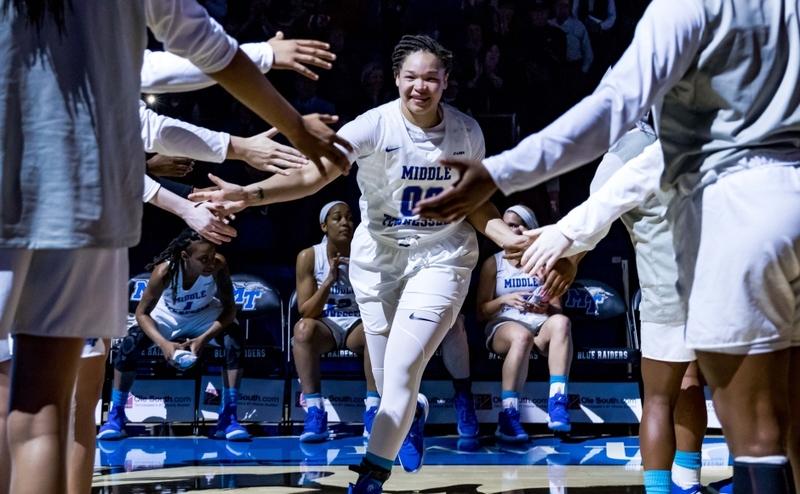 Middle Tennessee kept that first half momentum going and had a monster second half, outscoring the Hilltoppers 45-34 to win its third consecutive Sun Belt championship. First-year head coach Insell and the Lady Raiders were no strangers to making comebacks, as the team won five games at or near the buzzer that season. With the Sun Belt Player of the Year Chrissy Givens leading the way, the Lady Raiders proved they would never go away quietly. The 2006-07 Lady Raiders put the nation on notice when they defeated the eighth-ranked Lady Bulldogs in Georgia. This was MTSU’s first win over a top ten team in the program’s history. Georgia native Amber Holt put on a show by scoring 15 of 21 points in the second half for the Lady Raiders. Their knack for causing havoc on defense with 22 forced turnovers essentially won MTSU the game and led to their 30-4 record. That mark is still currently the best in school history. This standout year resulted in Insell being named the Sun Belt Coach of the Year in just his second season. The victory against Kentucky was just the fourth win against a top ten team for the Lady Raiders. Icelyn Elie led the charge offensively with 23 points on 9-11 from the field. The 12-point defeat was the largest margin of victory out of the four triumphs, and three of the four wins have taken place in the Insell era. Since Insell’s arrival, he’s scheduled his team up against some of the very best competition in the Atlantic Coast Conference and Southeastern Conference with hopes of his team stepping up their game. MTSU had an epic battle with former Sun Belt conference foe Arkansas State in 2013. The Lady Raiders got out to a decent start in the first half and led by nine at the half. ASU’s shots began to fall however, and that lead slowly diminished. 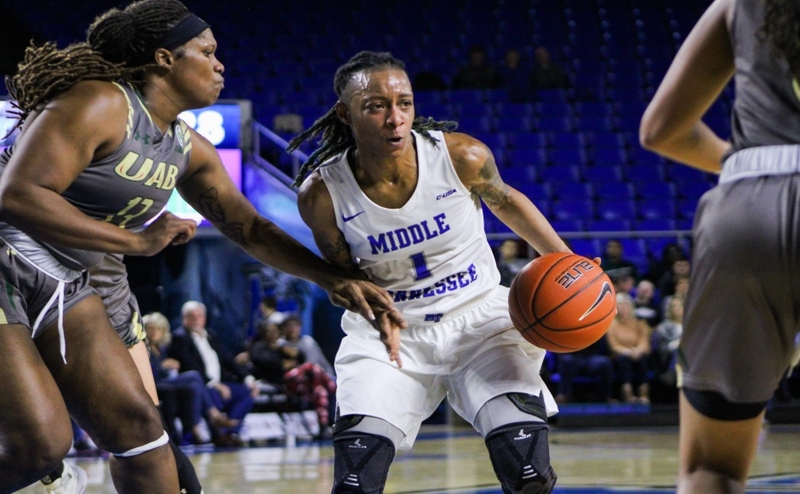 The Blue Raider trio of Elie, Ebony Rowe and Kortni Jones combined for 63 points on 48 percent shooting to rally MTSU to the win. In this conference showdown, MTSU’s offense was pretty dormant for the first half. 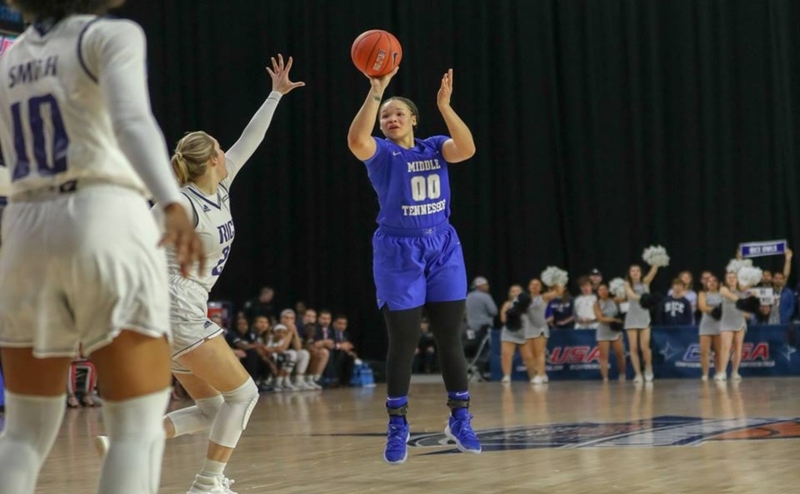 In the second act, the Lady Raiders went from shooting a below-average 37 percent to lighting up the scoreboard with nearly 60 percent shooting. Alex Johnson (29 points) and Ty Petty (15 points, 11 assists) both led the way with standout games to hold UAB off in the extra quarter.